Hobby breeder and exhibitor of rare and traditional breeds of poultry and ducks. Small supplies of hatching eggs, chicks, growers to POL available in season. Enquiries welcome. We are a small hobby breeder who became addicted to chickens very quickly, and now have more eggs/chicks than we can cope with ourselves. Pekin Bantams supplied from 8wks - 22wks. A wide variety of hand reared friendly birds in a variety of colours including White, Black, Blue, Lavender, Buff, Black Mottled, Birchen and Golden Partridge. We are a family owned business located in the South West of England, specialising in breeding rare and traditional breeds of chickens, ducks, guinea fowl, turkeys, geese and game birds. Our emphasis is on the quality, purity and health of our poultry. Stock usually available all year round suitable for exibition or pets. Show quality Barnevelder. Will be showing the croads this year. We keep chickens, ducks and quail as a hobby and we can supply Welsummer hatching eggs, day olds pullets, point of lay etc. We also have Pekins and can supply hathing eggs, day olds chicks, pullets and point of lay. Supplier & Breeder of Ornamental & Rare Breed Poultry, Waterfowl, & Guinea Fowl. We are a small family run enterprise specialising in pure bred poultry. We often have hatching eggs and growers for sale. Hatching Eggs. Live Birds from day old to point of lay. I breed the Fenton Blue a blue/green egg here on the farm and also sell other breeds of point of lay chicken, either large or small orders. In the summer I also sell of heat growing turkeys. Here at Manor Farm, Ilminster, Somerset we hatch chicks and ducklings from our own breeding stock every week. All year round we have hatching eggs, day old chicks through to point of lay pullets for sale. Please contact for availability and current breeds. We are a family run business with years of experience offering a warm and friendly service. Feel free to get in touch or pop in for a look around. POL Pullets and Hatching eggs available. We sell free range hens at point of lay, they are all fully vaccinated. We have many different breeds that give different colour eggs. All hens £12. I have kept Pekins for 16 years starting first as pets. Now my hobby has grown and I breed them. I concentrate mainly on standard colours and source my birds from good breeding stock which are all of a good standard. I have an 18 acre smallholding, I breed and sell Alpaca, Pygmy Goats and Poultry. All my animals are top quality and very well kept, in large areas. Poultry is a passion of mine. I am always striving to improve my quality by buying from champion stock, I have very rare pure colour. I sell quality birds at sensible prices, but also keep and sell birds at collector/Breeder prices and sell to well known animal parks. I sell fertile eggs, day old chicks, pullets and POL. I sell feeds, hay, straw and coops made to order. Find me on Facebook Stowey farm or call for a visit by appointment. If I don't answer please leave a message as I tend to drop my phone in chicken pooh on a regular basis. We supply point-of-lay poultry to individuals who are looking to buy healthy hens, ducks and quail for their back garden or smallholding. in Somerset. Free friendly advice always available. Smallholding, poultry for sale now (Feb 2016) and throughout the year. Bobtail, Lemon, Porcelain, Silver Partridge, Millefleur and Columbian. I can supply hatching eggs or birds from the age of 8 weeks upwards. From Silkies, Pekin Bantams to rare Houdans, Pipinchick have a large selections of Poultry available wholesale for your retail outlet, garden or poultry centre, we also offer private sales by appointment only. 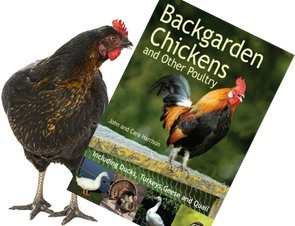 Get your lovely garden hens here at Pipinchick Poultry. I started off with a few breeds, but now have narrowed down to the lovely Polish Polands and Silver Seabrights. Apricot and Mallard Calls. Two pairs, one apricot, one mallard and one couple of inseparable drakes at the moment. We supply hatching eggs, Pullets and pure Bred Cockerels. We have 24 different pens of Pure breeds. We also supply Brown and coloured Hybrid Pol pullets. We also supply Quail and quail hatching eggs. Small hobby breeders of quail. At the moment we have mainly Cortunix Italian Quail. Eggs are incubated regularly so please call or email to see what is available and timescales. Feel free to leave a message if we are unavailable to answer, thank you.